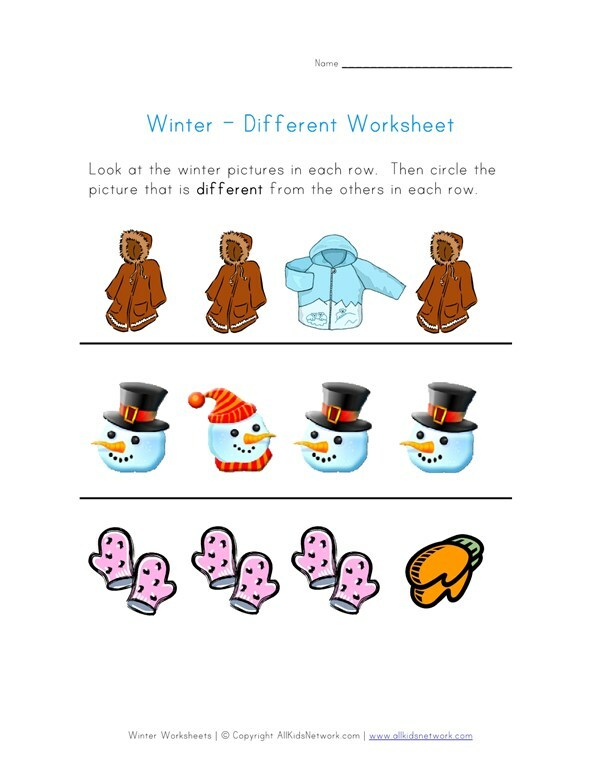 This winter worksheet is designed to help kids learn and practice recognizing things that are different. Children are asked to look at the winter pictures in each row and circle the picture that is different from the rest. 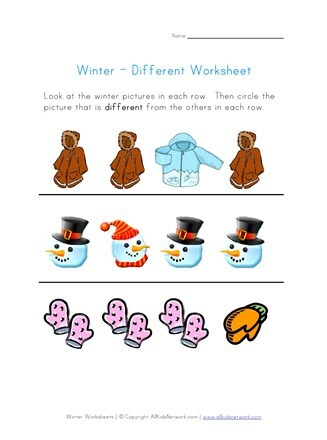 Print this worksheet out with the rest of our winter worksheets to do with your kids!